Here are just a few of the GREAT items offered by W and W Associates through our showroom at Chicago Wholesale Fabrics. 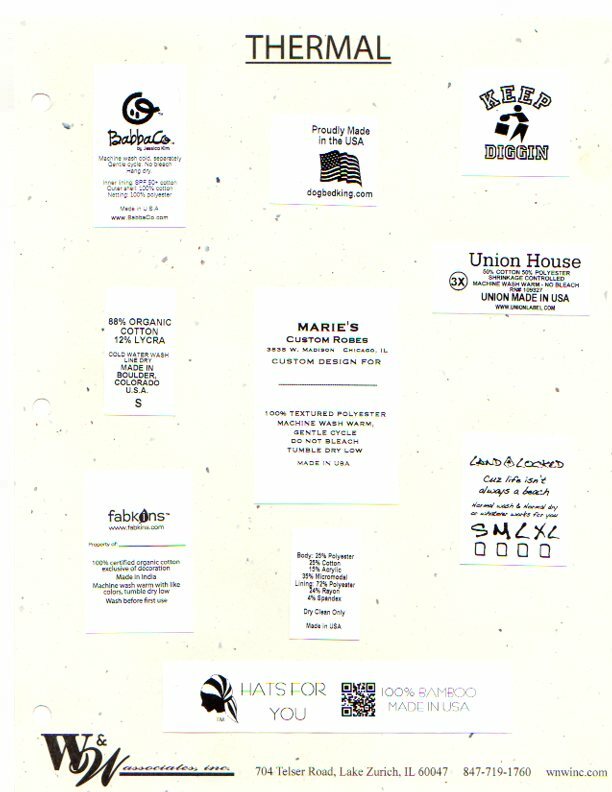 Custom care labels on thermal paper can include country of origin, fabric content, sizes and even logos as well as care instructions. They are $84.00 for 1,000 with up to 4 different scripts executed. See attached. Call for details and to place an order. 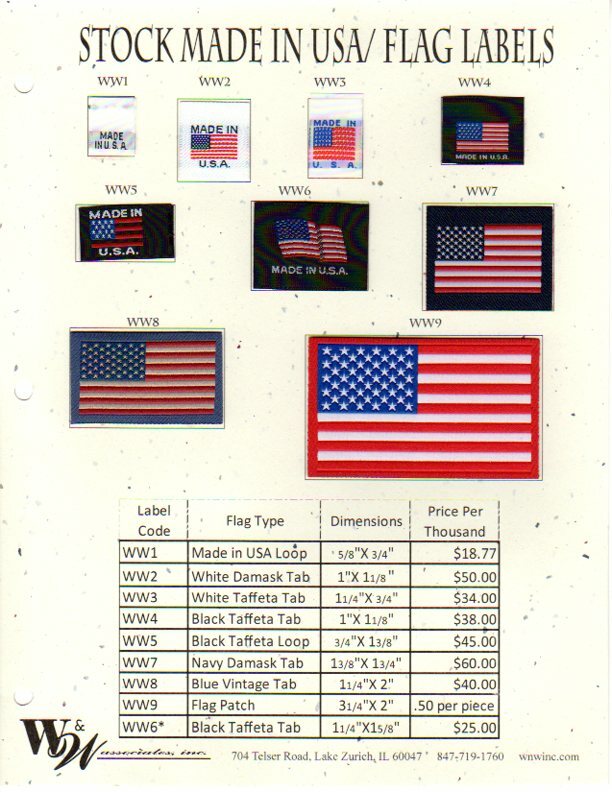 Show your colors with sewn in USA flag labels and tags. These are in stock and ready for delivery. See W and W here. http://fabricfest.com this is the #1 fabric show in Chicago! Samples are always available in our showroom or through the mail or on line. Click here and scroll down.